If you don’t have your natal chart–or have trouble reading it–you can easily look up the sign of your Venus by referring to the table below. For example, if you want to look up the Venus sign for a birth date of August 12th, 1969, note that Venus entered Cancer on August 3rd, 1969 and entered Leo on August 28th, 1969. Therefore a person born on August 12th, 1969 would have Venus in Cancer. Times given are Eastern Time. You can also use Cafe Astrology’s What’s My Venus Sign? tool for looking up your Venus sign or the natal chart positions tool for determining the sign positions of all your planets, including Venus, based on your birth date. 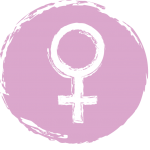 Now that you know your Venus sign, read about Venus in the Signs here.